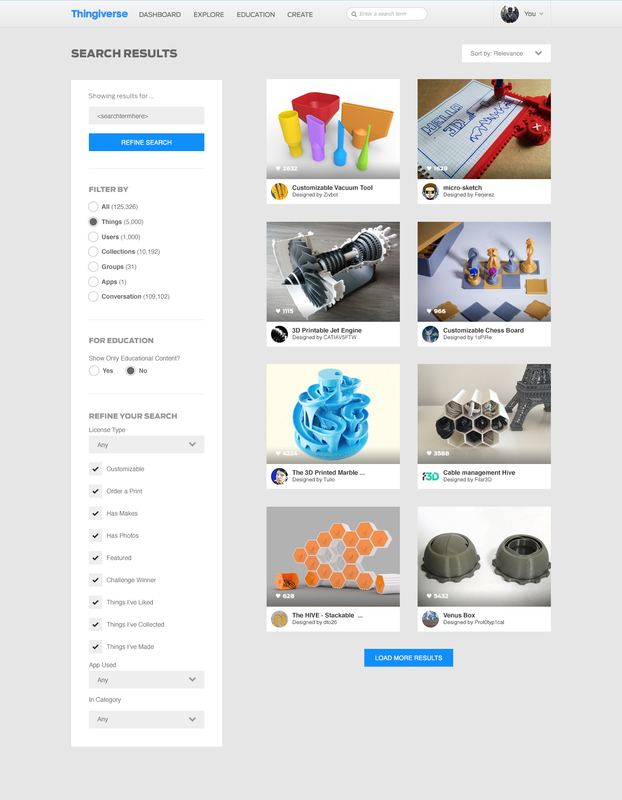 Ever since I started at MakerBot (back in 2013), one of the key components of the site that the entire team was eager to re-work was our core search functionality. This Summer, the team got the chance to see what we could do with it. 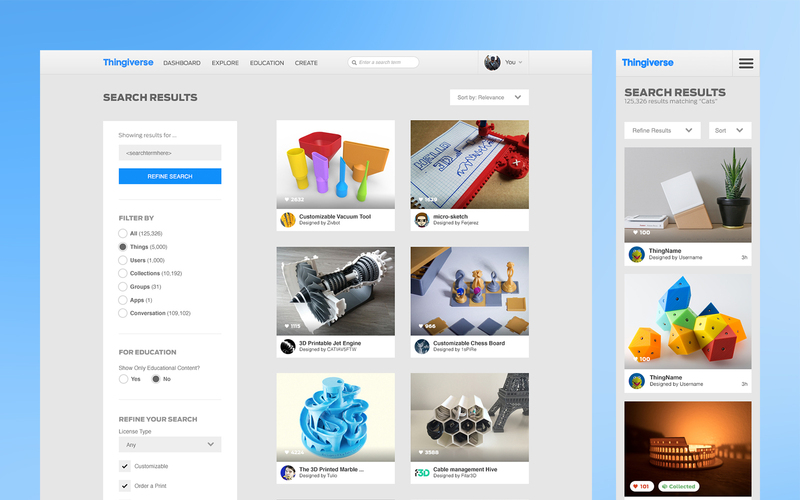 Along with a complete UI overhaul, the development team ripped out the old framework (Sphinx) and we re-built the component using ElasticSearch. This gave us far more flexibility to add more content to our search results (not just Things). 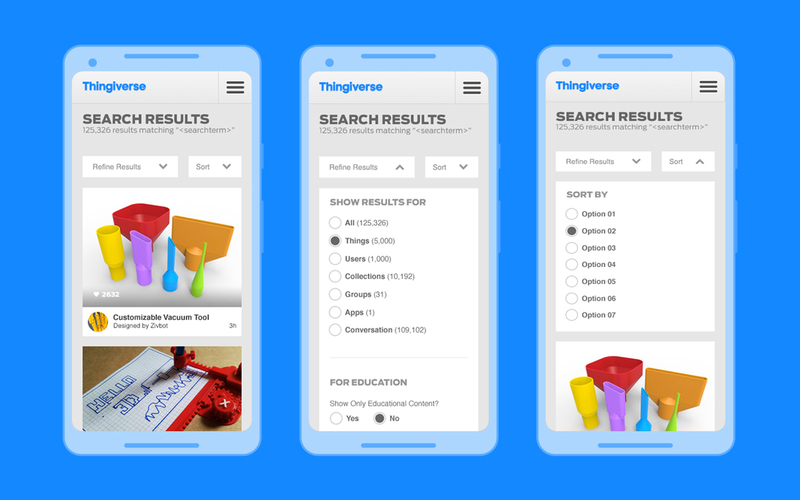 We’ve been working hard, even after launch, to refine the algorithm and the core UX experience of search as it is the foundation of our content-driven site. Super excited to see this evolve!